Steve Brule is back in action. Today, Adult Swim announced season four of Check It Out! With Steve Brule will premiere in June. 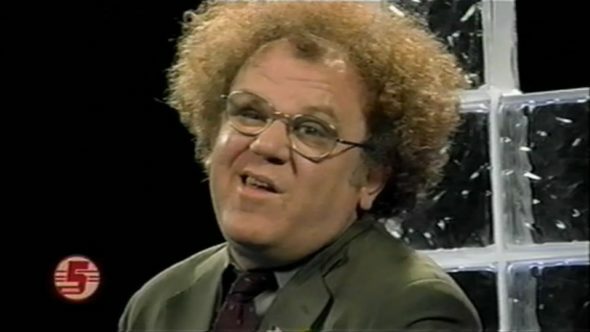 The alt-comedy series stars John C. Reilly as Dr. Steve Brule, an often clueless TV host who explores different aspects of life, like planes, church, and health. The new season begins on June 17th at 11 p.m. ET/PT. Following the premiere will be the television debut Decker: Unclassified at 11:15 p.m ET/PT. Doctor Steven Brule returns to host a new season of Check It Out! which continues to explore life’s most basic questions: What are cars? What would life be without music? and other notable topics. Join Brule on this journey of exploration that will help improve your everyday life. Check It Out! stars John C. Reilly and is produced by Abso Lutely Productions. An action packed powerhouse Decker: Unclassified follows Agent Jack Decker as he subverts terrorist plots against his beloved America. Joined by ally and master code breaker Agent Jonathan Kington, the two navigate evils both foreign and domestic threatening a once great nation. The series was created by and stars Tim Heidecker and Gregg Turkington, and is produced by Abso Lutely Productions. What do you think? Have you seen Check It Out! With Steve Brule? Will you watch the new season? More about: Adult Swim TV shows: canceled or renewed?, Check it Out! With Steve Brule, Check it Out! With Steve Brule: canceled or renewed?